Creating an airline people love is a bold goal, but if anyone is up for the challenge, it’s Alaska Airlines and Virgin America. Today, Virgin America was named the “Top Domestic Airline” 2017 in Travel + Leisure “World’s Best Awards” for the 10th year in a row. In May, Alaska Airlines ranked highest in airline customer satisfaction among traditional carriers for the 10th consecutive year in the J.D. Power 2017 North America Airline Satisfaction Study. As for the next ten years and beyond, the future is bright as these two airlines, with their innovative spirit and award-winning customer service, combine efforts and continue to push the status quo. 1. Inflight Wi-Fi. Virgin America was the first U.S. airline to offer fleetwide inflight Wi-Fi. Moving forward, Alaska Airlines will upgrade to satellite Wi-Fi, with enough speed to utilize streaming services like Netflix, HBO Go and Amazon Prime Video. Nearly all of the Alaska and Virgin America fleet will be equipped with satellite Wi-Fi by the end of 2019. 2. Chat away. Earlier this year, Alaska Airlines debuted its Free Chat™ service, allowing guests to stay connected with friends and family via iMessage, Facebook Messenger and WhatsApp. The free inflight amenity was created by Alaska and will be available on Virgin America flights in August. 3. Going green. Alaska and Virgin America have two of the most fuel-efficient fleets in the industry. Alaska’s young Boeing fleet helped the company reduce emissions by over 13 million pounds in 2016, and Virgin America’s Airbus fleet is up to 15 percent more efficient than the average U.S. carrier. Also in 2016, Alaska flew the first ever commercial flight using biofuel derived from wood residues. 4. Buy online. 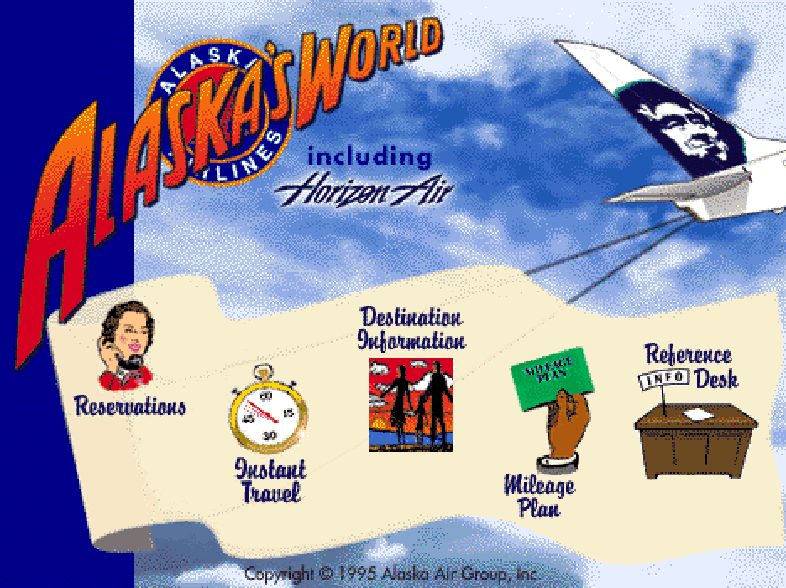 In 1995, Alaska and Horizon were the first U.S. airlines to book flights and sell tickets online. Just four years later, they became the first to offer web check-in, allowing guests to print their boarding passes at home for a more seamless airport experience. 5. Advanced flight deck technology. Alaska has a long history of flying in some of the most challenging environments. Using Global Positioning System (GPS) and Enhanced Ground Proximity Warning System (EGPWS), Alaska developed technology to fly approaches and departures with pinpoint accuracy. This has not only helped Alaska Airlines provide more reliable service in rugged airports, but has also contributed to the airline’s sustainability efforts by making take offs and landings more efficient. 6. Inflight entertainment. In the late 1950s, Alaska Airlines was among the first in the U.S. to introduce inflight movies. Today, with Alaska Beyond Entertainment, guests can stream more than 200 movies and TV shows for free, straight to their own device. In August, select free movies will be added to Virgin America’s RED entertainment system. An Alaska Airlines flight attendant prepares film for an inflight movie (circa 1959). 7. Swift social media. Social media has transformed the airline industry and is a significant way for carriers to quickly address their customers’ travel needs. 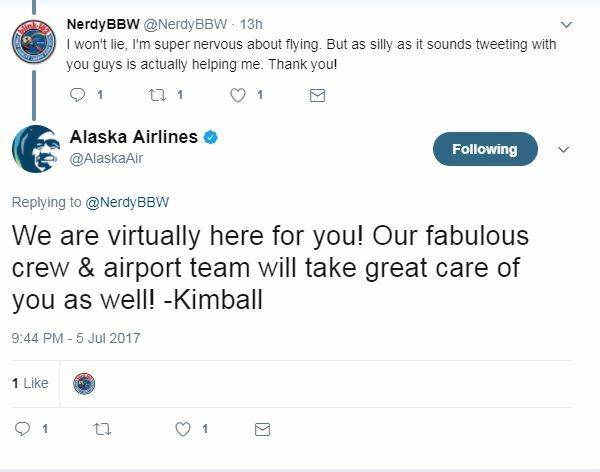 According to Conversocial’s Airline Benchmark Report, Alaska is the fastest airline to address guests’ needs via social media, with an average response time of just 2 minutes and 34 seconds. The industry average is 1 hour and 5 minutes. 8. DIY bag tags. To further streamline the check-in process and cut down on lines, Alaska introduced do-it-yourself bag tags. Guests can print their bag tags for their checked luggage at home or at a self-tag kiosk at the airport. From there, it’s just a simple drop and go, reducing lines and hassle. Last year, Alaska also tested electronic bag tags. 9. Onboard recycling. Horizon Air started onboard recycling efforts in the 1980s. In 2016, flight attendants at Alaska and Horizon recycled 84 percent of newspapers, cans, plastic cups and other recyclable materials onboard aircraft. 10. Mile flown, mile earned. Alaska Mileage PlanTM is one of the only airline loyalty rewards programs where a mile flown is a mile earned – no matter the price of the ticket. Together, with Virgin America and Alaska Global Partners, members can redeem miles to more than 900 destinations worldwide. Alaska Mileage Plan has ranked highest in customer satisfaction with airline loyalty/rewards programs for three consecutive years in the J.D. Power Airline Loyalty/Rewards Program Satisfaction Report, and was named “Best Travel Rewards Program” by U.S. News & World Report two years in a row. 4 comments on "A decade of awesome: 10 ways Alaska and Virgin America continue to shake up the airline industry"
We enjoyed our flights to and from Alaska. We took advantage of “tag your own bag” (my terminology) and it helped to expedite our check-in. We also watched a free movie with the Gogo Entertainment app. In addition the friendly Alaska Airlines employees made this a great trip. Thanks Alaska Airlines. “Advanced flight deck technology” is so important to me as I fly out of Southeast Alaska where weather conditions require precise routes, high level pilot skills, and knowledge of local conditions. There are so many aspects of flying with Alaska that I love, but feeling safe is first on my list!